Today, I want to talk about MLM Business Opportunity Leads and share five things that I think you should know. I’ve been in this industry a long time now, more than a decade, and I’ve done a lot of things right and a lot of things wrong. I should start out by telling you that I am NOT a fan of purchasing leads. EVER. I just think it’s a complete waste of money. When it comes to leads, specifically MLM Business Opportunity Leads, there are a few basic things you should know. 1. NEVER Buy Leads from a Lead Company – First and foremost, I truly believe you should NEVER buy any type of leads from a lead company. There are just too many factors out of your control when you buy leads from a lead company. You don’t know how old the leads are, how many times they have been sold and what they were offered to become a lead. In most cases, you will get a bunch of disconnected numbers or a bunch of angry people who have ZERO desire to work with you, or even listen to what you have to say. I’ve bought leads in the past, when I first got started in the industry, and I’ve never done very well with purchased leads. 2. Business Opportunity Leads Aren’t Normally Very Good – When it comes to network marketing, you really don’t don’t want to buy business opportunity leads. There is a big difference from someone looking for a traditional business opportunity, someone looking to work from home and someone looking to get involved in network marketing. In probably 99 out of 100 cases, leads interested in working from home, or a business opportunity, have NO desire to do network marketing. In addition, a lot of MLM Business Opportunity Leads are nothing more than MLM Junkies looking to get rich quick. These are not the type of folks you want to work with. 3. Learn How to Generate Your Own Leads Instead – Rather than buy leads, take the time to learn how to generate your own leads. When you generate your own leads, the leads are exclusive. You know what offer they responded to and they are typically much higher quality. One of the best skills you can develop to succeed in network marketing is to master lead generation and online/offline marketing. Once you know how to generate your own leads you can build your business quickly. 4. Your Best Leads Are Leads for People Interested in Your Products – From personal experience, I can tell you that the best leads to focus on are people looking to buy or use products that are similar to what you are selling. For instance, if you specialize in weight loss products, try to generate leads from people interested in losing weight. Many of these folks will become happy customers or distributors if you can show them how your products or services helps them solve their problem (losing weight). These are much better quality leads than people who are unemployed looking for a work from home job or of people looking to get rich quick without doing any work. 5. You Need a Game Plan to Follow Up with Your Leads – I am a big fan of having a sequential follow-up process for your leads, specifically with an auto-responder. Most of your leads will need to see your message at least 10-20 times before they will take action. If you just call or email someone once, you won’t convert many leads into customers or reps. That’s why you need an auto-responder. Let your emails to the selling and sifting and sorting for you, so you can find interested people who contact you for more information. The most important thing is to have a follow-up sequence. Most people never do this and that’s why they don’t get very good results with their leads. 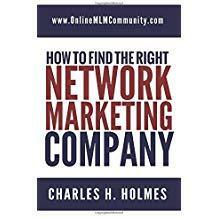 The bottom line is that MLM Business Opportunity Leads normally aren’t very good leads for your network marketing business. Rather than buying leads, learn how to generate your own leads. Create ads and marketing for people who would be interested in your product line, rather than looking for people looking for a business opportunity. As you generate leads, have a systematized follow-up process with an auto-responder, so you can stay in touch frequently, and let your auto-responder do most of the work for you. What are your thoughts about MLM Business Opportunity Leads? Leave a comment below to let me know what you think. I wish I would have read this article before. I already have spent a good amount of money on buying leads from a lead company and got absolutely no good results. Most of the numbers were either disconnected or wrong numbers and there was a huge number of annoyed people who were really frustrated with network marketing advertising and sales calls. These purchased leads are a huge failure. I am in complete agreement that buying leads from a lead seller is a terrible idea. In most cases these leads have already been attacked by numerous other Network Marketers. I also believe that the best leads are the ones for the product. Once prospects have tried and like the product, the chances of them joining as a team member are much higher. This just reinforces the idea that having a great product is essential. If your product isn’t solid then you have pretty much ended your opportunity to generate leads right there. A product that people enjoy, find useful, and believe in is the first step in getting a solid team of people who are satisfied and ready to join the team.